Posted on December 31, 2015 by Kayla H.
Itazura Na Kiss is a manga, and later adapted into an anime, about an unlikely romance between two high school students. Spoilers to come! Kotoko Aihara, a poor achieving high school student, falls in love with the genius Naoki Irie only to be flatly rejected and humiliated. Kotoko had fallen for Naoki since her first day of high school. When an earthquake strikes her house, she is forced to live with her father’s childhood friend. When Kotoko meets the family, she discovers that Irie is their son. How is she going to survive living under the same roof as Irie, especially being rejected? Throughout the manga and anime, Irie develops feelings for Kotoko but life finds a way to intervene. They are both pulled away by other people in their lives, like Kotoko’s friend Ikezawa, who her ever since she started high school. There’s also Christine, a foreign exchange student who plans to marry Irie. Will they be drawn apart or will they settle down and get married? 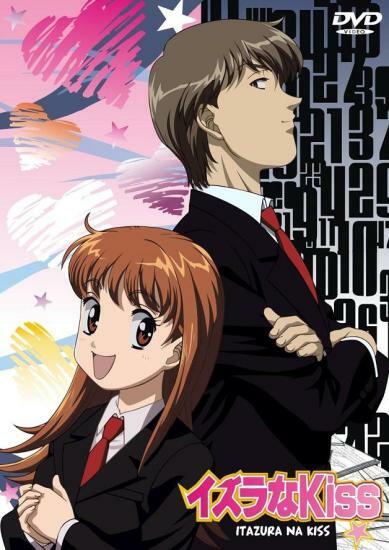 Check out the anime and/or manga if you would like to know more about Itazura Na Kiss! I’ve spoiled enough. I would definitely recommend someone to check it out. This was my first anime that I’ve ever seen and probably one of my favorites! I would rate this series a 9/10. Posted on December 23, 2015 by Maya S.
In a cruel world that was once ours in the 1940s, there lived a young woman by the name of Rachel Kramer. Getting increasingly tired of hearing of her father’s genetic research to create the “perfect” Nordic race for which Hitler strived, Rachel meets up with her childhood best friend, Kristine. While the two catch up, they discuss their past life. Kristine has courted a German SS officer, Gerhardt Schlick. They even have a four-year-old daughter, Amelie. However, Kristine tells Rachel with anguish that Amelie is deaf. A couple days later, Rachel and Kristine find each other again at a banquet dinner also attended by Rachel’s father and Gerhardt Schlick. 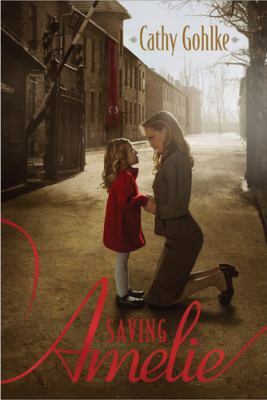 Through all of the presentations and lectures about eliminating the Jews and creating a pure society, Kristine caught the speaker say something about eliminating “imperfect citizens.” As he continued, Kristine thought about her own child, Amelie. She was disabled! What would happen to Amelie if the German soldiers found her? Kristine became worried and confided in Rachel about her dilemma. However after a heartbreaking incident, the two are separated. It is now up to Rachel to carry out Kristine’s plan. Rachel and her new found friends attempt to save Amelie, much like the title predicts. I would rate this daring, twisting, and exciting adventure a 10 out of 10. Its painful story provided a glimpse of life in Germany during WWII and the plan to perfect the Aryan race. Though devastating, frightening, and uplifting all at the same time, Amelie’s story is quite the historical fiction thrill. Saving Amelie is available for check out from the Mission Viejo Public Library. Posted on December 15, 2015 by Nicole G.
Most books are about fictional characters. Not many books, I feel, are about fictional-fictional characters. 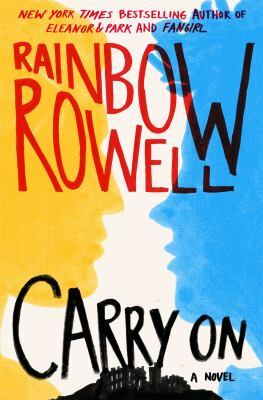 The story for Carry On follows the magical world of Simon Snow – the source of fanfiction for Cath in Rowell’s previous novel, Fangirl (which is also very good, you should read that). The whole thing sounds a bit complicated and I haven’t even begun talking about the plot. The book takes place in Simon’s last year at his magical boarding school. It feels as though this is the last book in the series as if there could have been a book following each of Simon’s years at the Watford, but Rowell does an amazing job of giving the reader enough information while still maintaining a layer of mystery. Besides the beautiful storytelling, it would be impossible to read this book and not compare it, at least a little, to Harry Potter. The main character is the chosen one brought up in the normal world, prophesized to appear when the world needed him most, and goes to a magical boarding school during the year only to be forced to live in the normal world during the summer holiday. Oh, and both take place in England. But beyond that circumstantial similarities, Carry On really stands out as its own book. The plot is rich, the characters all very distinct (Penny is my personal favorite) and not everything goes as expected. The magic world of mages is weird and different, but with just enough familiarity (the use of electronics for instance) to not make it seem too otherworldly. The story’s main antagonist, the Insidious Humdrum, is a pretty good villain despite the ridiculous name. I don’t want to say much more because this is a book you want to go into without any spoilers. I got completely sucked into the story. There are some changes in perspective, all in the first person, but I never had trouble discerning who was who. If you are looking for a new magical boarding school book that is truly amazing, keep calm look no further than Carry On. Carry On is available to check out from the Mission Viejo Public Library. 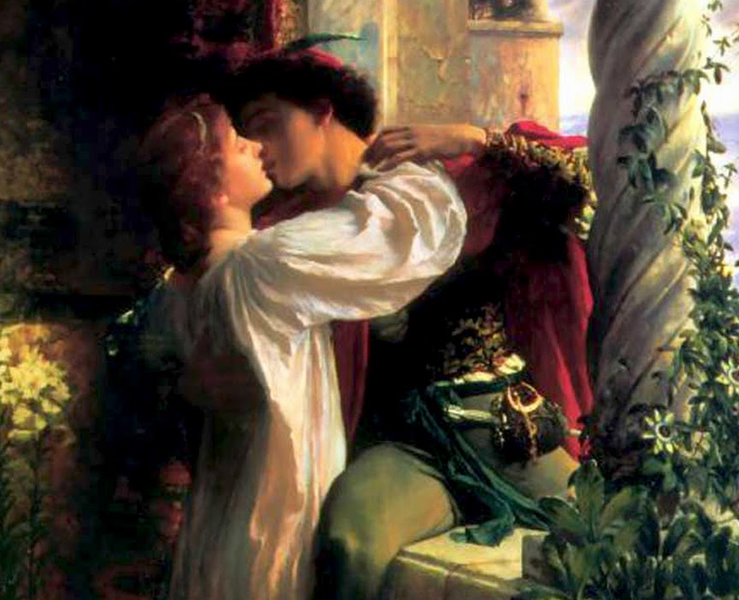 Posted on December 8, 2015 by Leila S.
Recently, I sat in the audience of the Laguna Playhouse Youth Theatre in Laguna Beach as I watched actors both young and old act out Shakespeare’s famous play, The Tragedy of Romeo and Juliet. To be honest, I had no complaints about the play itself. The actors were all very well rehearsed and the performance was very polished, a difficult feat given how hard it is to read Shakespearean dialect, let alone memorize and perform it. Many parts which I remember from reading the play itself were identical in the stage adaption. A couple scenes were edited, but only slightly. Additionally, a few scenes were different than what I had pictured as well as from what the movie versions of the play depicts. A main example of this is the fight that the Capulet and Montague families have in the middle of the market in the beginning of the play. I imagined there to be more characters on each side while the Laguna Playhouse adaption maintained a smaller crowd. Regardless, these slight differences did not necessarily take away from the overall play. It was still very enjoyable. If you are someone who enjoys watching student theatre productions, I would definitely recommend looking into the Laguna Playhouse productions. I have watched a variety of productions there, from Tom Sawyer to an adaption of Lois Lowry’s The Giver to The Legend of Sleepy Hollow. I have always been extremely impressed by the performances because these students are all able to produce a polished and entertaining performance in addition to handling the stress of school. Posted on December 1, 2015 by Megan V.
Could you become the very object you hate, without knowing how it really feels to be this kind of person? 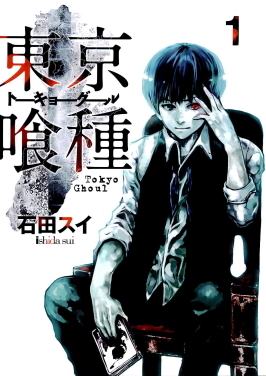 Kaneki Ken is a college aged book loving student, and ghouls, the ones who eat human flesh both for necessity and fun, are just stories put up by the media, and he and his friend try to guess what a ghoul really looks like, not really caring. After all, ghouls aren’t human. That was before he fell for Rize, a ghoul who tries to eat him right before finding himself falling to a lethal accident. At the the hospital, Kaneki needs an organ replacement… and the doctors use Rize because she was near him at the scene. Thus Kaneki turns into a one-eyed ghoul. And because of this, he meets a variety of characters that he both loves and hates. Kaneki also realizes that he needs to eat human flesh because human food tastes disgusting. But at times, he wishes he died when Rize attacked him. This manga, as readers find out in chapter one, is a tragedy. There is no happy ending–so far. The characters one roots for either die, get tortured, or both. On a happier note, there is a lot of unexpected humor throughout the peaceful times. Also, it is interesting on how the author shows the sides of both the ghouls and the human investigators who want to hunt them down. Finally, Tokyo Ghoul has an excellent plot with twists and turns that one won’t expect. Any reader who likes a good plot and cares for gruesome tragedies would like this manga.